I recently took up walking as a way to try and get in shape, I came across Fun Run Box online and was really intrigued by their service. Fun Run Box is a monthly subscription box that makes running fun! 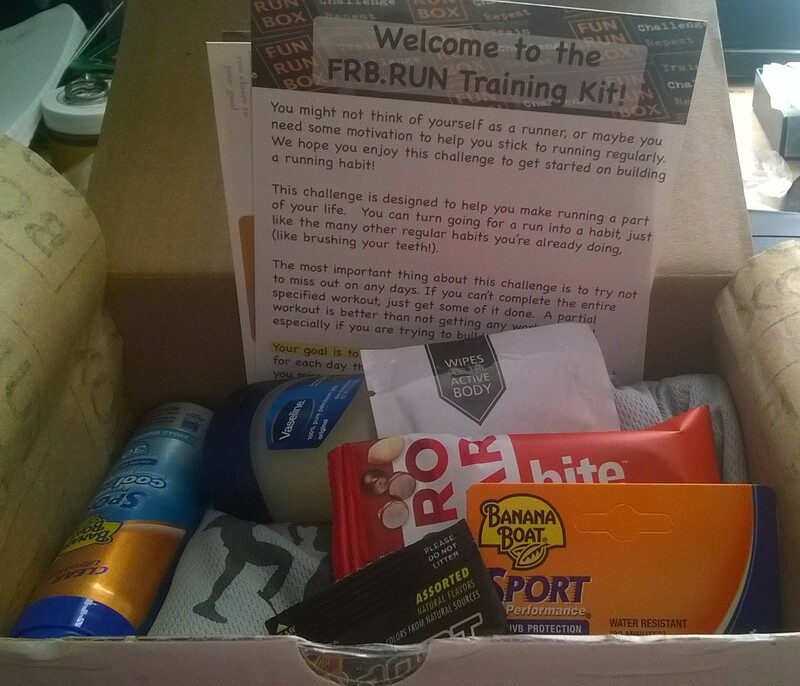 Every month you will receive a box with surprise goodies related to running as well as a challenge. The first box you receive is a welcome box that including a tech training themed shirt, monthly challenge card and other goodies. Each subsequent month a new box is sent to you with a monthly fun running themed challenge and new themed swag. The 6th monthly box is the awesome series finisher kit that includes a tech series finisher shirt, finisher medal, and much more amazing finisher themed swag. The following month, a new 6 month series starts the fun all over! They have plans for different levels of runners. They recently sent me a welcome box, it included a males shirt(which I asked for) and as aimed towards beginners. Active wear Men’s shirt that says “In Training Fun Run Challenge Series” on the front and “Fun Run Box Train.Challenge.Repeat” on the back. Boxes are $35 a month but you can also prepay 3 months in advance for $33 a month or 6 months in advanced for $30. I was really impressed with the selection of items I received, I also really love the idea behind the challenges. I wont lie, I’m lazy and needed motivation and this type of motivation is great. The card is broken down weekly by day and features some REALLY easy work outs. The point system is great(You get 1 point per workout and 1/2 put if you try but don’t complete, your goal is to reach 30 points). Fun Run Box is like no other subscription box I have seen.